Spring has finally arrived. Still too cold to leave house entirely without coat, but the coat can be left open. Question is what to dress under your open coat? 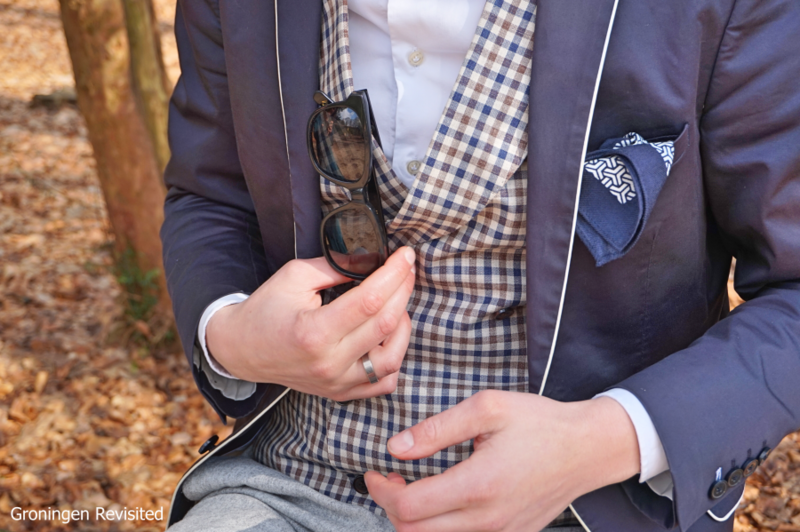 Time for some details – dapper details. Add colours, Spring asks for colours. The gray and dark winter are over and the light and new life need celebration. Don’t be too enthausiastic by wearing a bright-colored suit or other cloths. Be subtle, find your colours in the details. 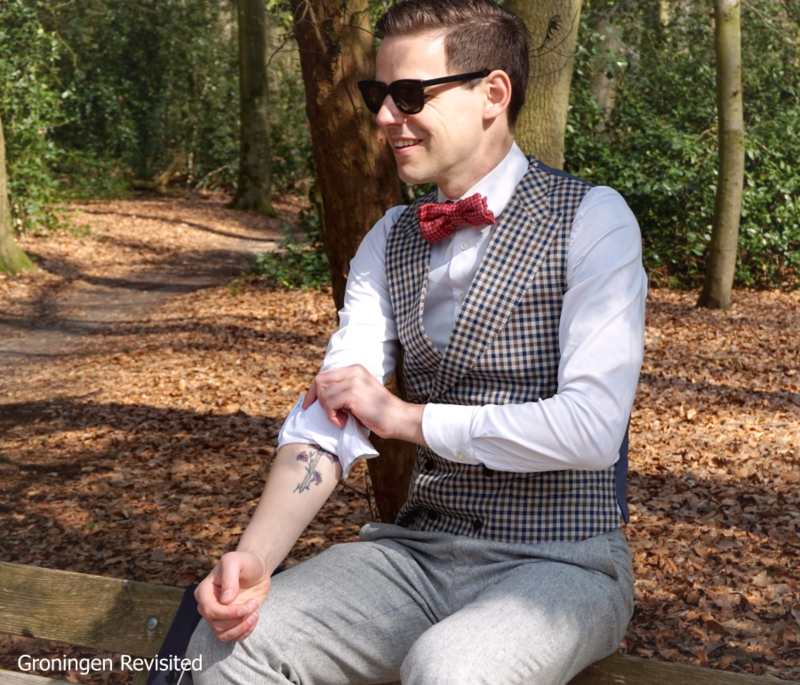 I ran into this good looking double-breasted waist coat recently which has fresh colours and is subtle checkered. All is highlighted by the white shirt, which gives this outfit a fresh foundation. As do the white boat shoes – literally a foundation of the outfit. The time of getting cold feet is over so boaters are ideal shoes for in spring. 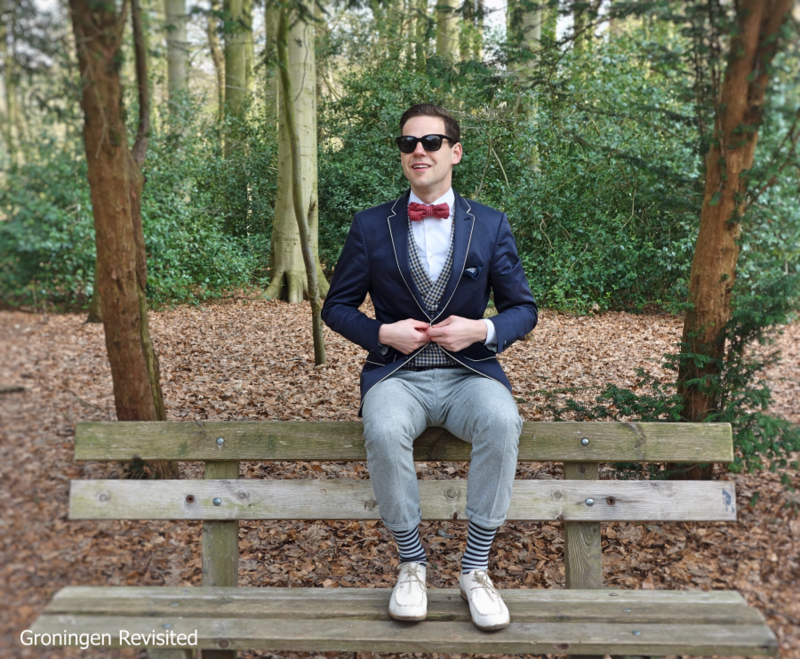 The blue jacket and the red bowtie add more colour to the outfit. I own the jacket for some time now, but it is useful in many situations. The with line gives this outfit again some freshness while the jacket itself gives some cover. It is still spring, not summer. My camel-coloured wool coat is the showpiece of the outfit bringing all the (dapper) details together. I love its minimalistic design. It can now be worn open highlighting the rest of the outfit and giving silhouette to the outfit and me.